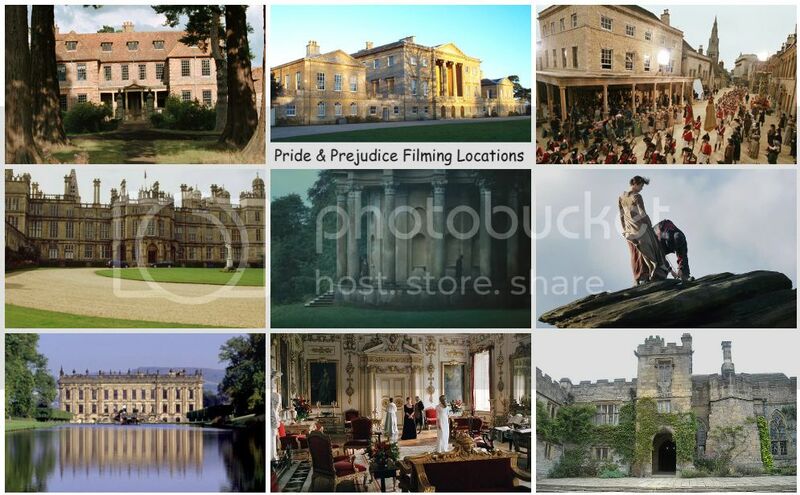 If you've been reading this blog frequently, then, you've seen all the P&P05Publicity & Promotional Stills, Movie Stills, Behind The Scenes Photos, and possibly Deleted Scenes Photos previously posted here. Now, all the P&P Red Carpet/Movie Premiere photos will be posted here as well. They will be posted in 4-parts (in order of the date they were held back in 2005). The current poll (#8) is now up (scroll down at the bottom) right side bar under the Weekly Poll for the new poll question:Which of the following P&P actors do you think was the best Mr. Darcy? Many thanks to all of you who voted in the last poll. Below is the result from last week's poll. Great news for fans of Sharon Lathan's Darcy Saga books, the next 2 new novels are now listed on Amazon.com and are in bound books, of course! "I do not know what is up with the listed prices; why there is such a large discrepancy." Hopefully, these prices will be fixed soon. Though if you can't wait to own these books and read them soon (like I do)...then, by all means, order your copy now at Amazon.com (esp. if you can afford and don't mind those high prices, lol). It'll be a great help and your support (and purchases) on Sharon's books will be greatly appreciated especially by the author, Sharon Lathan, herself. P.S. Special thanks (once again) to my friend Sharon Lathan for the latest update on this wonderful news on her website! This past weekend (July 27th), Rosamund Pike was seen at the Cartier International Polo Day. Prince Charles was joined in the royal box by a number of celebrities, including Bond girl Rosamund Pike and Harry Potter actress Emma Watson. View more Rosamund Pike pictures here. Keira Knightley, according to The Press Association article, was the second highest-paid Hollywood actress last year, a study by US business magazine Forbes has showed. The Pirates Of The Caribbean star earned 32 million dollars (£16 million) through her roles in the Pirates sequel At World's End and in the Oscar-nominated literary romance Atonement. Read full articlehere. The Duchess will have its UK premiere at the Odeon in Leicester Square, London on Wednesday, September 3rd. Also, watch a new trailer for The Duchesshere. 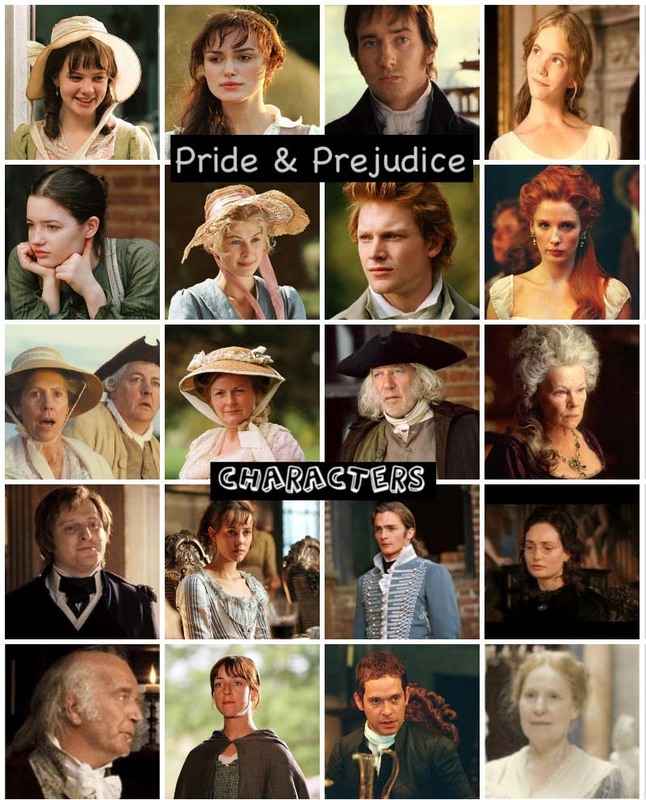 The current poll (#7) is now up (scroll down at the bottom) right side bar under the Weekly Poll for the new poll question:Which of the following P&P actresses do you think was the best Elizabeth Bennet? A new poster of The Duchess has appeared online exclusively to ComingSoon.net. The Duchess opens September 19 and starring Keira Knightley, Ralph Fiennes, Charlotte Rampling, Dominic Cooper, and Hayley Atwell. Happy Birthday Kelly Reilly and Donald Sutherland! Today (July 18th) is Kelly Reilly's (aka Caroline Bingley) 31st Birthday! Yesterday (July 17th) was Donald Sutherland's (aka Mr. Bennet) 73rd birthday. (Belated) Happy Birthday to Donald Sutherland! Happy Birthday to both Donald Sutherland and Kelly Reilly this week! The 2008 Emmy Awards Nominations were just announced this morning. BBC period drama Cranford have been nominated for a total of 8 Emmy Nominations including a nod for Dame Judi Dench. Cranford, broadcast in the US last May as part of public service broadcaster PBS's Masterpiece Theatre strand, features the lives of the residents of a small Cheshire market town in the 1840s. Dame Judi Dench, nominated in the best actress in a miniseries or movie category for her role as kindhearted spinster Matty Jenkyns, will compete against Susan Sarandon in HBO's Bernard and Doris; Laura Linney in John Adams; Catherine Keener in Showtime's American Crime; and Phylicia Rashad in ABC's A Raisin in the Sun. You've just seen (as previously posted here in this blog) all the P&P Behind The Scenes Photos, Deleted Scenes Photos, and Movie Stills, now check out this film's Publicity & Promotional stills from the movie posters to dvd covers to KK & MM promo pictures to the official P&P wallpapers and much, much more. Check them out below! Click each image to enlarge. 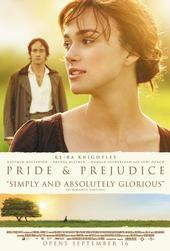 One of the best things about watching the 2005 film, Pride & Prejudice was its beautiful and visually stunningcinematography. They were just simply beautiful, breath-taking, and amazing to watch. This beautiful film sure made me wish I was there in that period of time and the beautiful locations (in the English countryside) used throughout the film. Designer ethical jeans brand FIN are leading an ethical fight back by using only fair-trade and organic cotton, grown using natural pesticides, from ecologically, economically and socially sustainable sources. The combination of gorgeous designs and finest ethical materials has won the brand many high profile fans, including Kiera Knightley and Kate Bosworth. Both of who are regularly photographed wearing the jeans they adore. FIN’s popularity is spreading quickly, VOGUE has marked FIN's 'Eco-Lux' ethical denims as the newest hot product on the block. The 2008 Toronto International Film Festival press release just announced its Gala and Special Presentations, which runs September 4 through 13. • A Gala Presentation of The Duchess, starring Keira Knightley and Ralph Fiennes, about the Duchess of Devonshire, Georgiana Spencer. 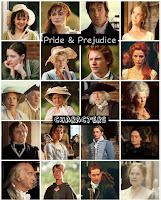 Ever wonder if the P&P film has any deleted scenes? The P&P 05 DVD's special features (in both the U.S. and UK/International versions) doesn't seem to have deleted scenes and outtakes that fans were hoping would've been included. Director Joe Wright mentioned in this script factory interview (with P&P screenwriter Deborah Moggach) that there really wasn't any deleted scenes (other than longer edits) like when someone asked him about the length of the film. AM: "I wish the film had been longer! It’s a great shame you had to chop so much. What dictates the length of a film? Do you look at the prospective audience and wonder how long you can keep them in their seats, or are you told that it has to be a certain length?"